The 2016 Jeep Patriot is a five-passenger compact crossover SUV that’s known for its interior comfort, high-tech features, and off-road capabilities. The cabin provides plenty of support, with wide, plush cushioning and generous head- and legroom. Modern safety gear puts passenger protection first. Under the hood, the Patriot generates plenty of power for your next off-road adventure. 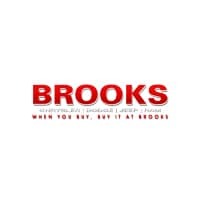 Choose from a variety of four-wheel-drive systems for them performance you seek. Inside, the 2016 Jeep Patriot speaks to your need for long-term comfort and support. Handsome touches, like leather upholstery and the leather-wrapped steering wheel, give you the star treatment. The steering wheel’s integrated audio controls let you interact with infotainment options without looking away from traffic. The heated front seats keep you cozy in winter weather. The reclining rear seats maximize legroom during lengthy road trips. Behind the rear seats, you can fill 23 cubic feet of cargo space with your daily necessities. To haul sizeable items, flip down the rear seats to create 53.5 cubes of maximum space. 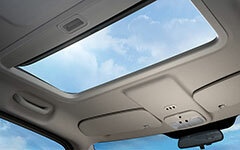 In addition to interior comfort, the Jeep Patriot provides all the latest tech gear. 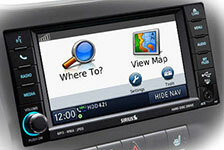 The central infotainment system is intuitive and easy to use. The cabin’s Wi-Fi hotspot means you can surf the Web from anywhere – a feature that comes in handy when you need to finish a little work from the highway. Use the navigation system to explore new territory without issue. The 115-volt, household style power outlet makes life simpler, keeping your devices fully charged and ready for action. 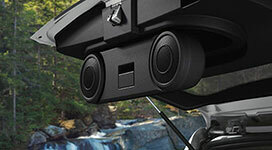 The flip-down liftgate speakers help you celebrate tailgate parties in style. 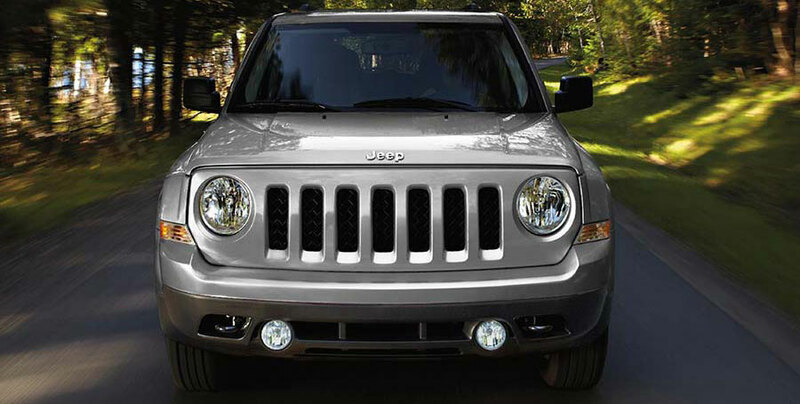 The 2016 Jeep Patriot’s safety features supply the kind of passenger protection you crave. In crash tests, the Patriot earned the Insurance Institute for Highway Safety’s top score of “Good.” Antilock brakes help you make quick, sure stops. The Patriot’s many airbags mitigate passenger injury during a collision. Before you back up, use the rearview camera to spot any stray obstacles in your path. Performance is one of the Patriot’s main selling points. Engine options combine substantial power with excellent fuel economy. The Freedom Drive II four-wheel-drive system helps you conquer rugged terrain and maximize traction over slick surfaces. The Patriot’s performance gear, like skid plates and hill descent control, assists you as you make your way through off-road territory. Properly equipped, the Patriot can tow up to 2,000 pounds. To make the most of your Jeep experience, choose the Patriot Latitude. This model ups the ante with rich interior comfort and high-tech convenience features. The leather-wrapped steering wheel also features integrated audio controls, so there’s no need to look away from the road. Reclining rear seatbacks take passenger comfort to the next level. Use the 115-volt power outlet to keep your laptop fully charged on the go. Make your next outdoor gathering a social affair. Central infotainment options provide smartphone integration and local traffic updates. Let a little fresh air in with the sunlight. Take on the elements with ease. If you’re shopping for substantial interior comfort and impressive off-road performance, put the 2016 Jeep Patriot at the top of your list. This rugged compact crossover combines family-friendly comfort with a go-anywhere attitude. Inside, there’s plenty of space for the entire family and all of their gear. Cutting-edge safety features help you maintain high standards in passenger protection. Tech features, like the mobile Wi-Fi connection, keep you connected. Take the Patriot on a test drive today!